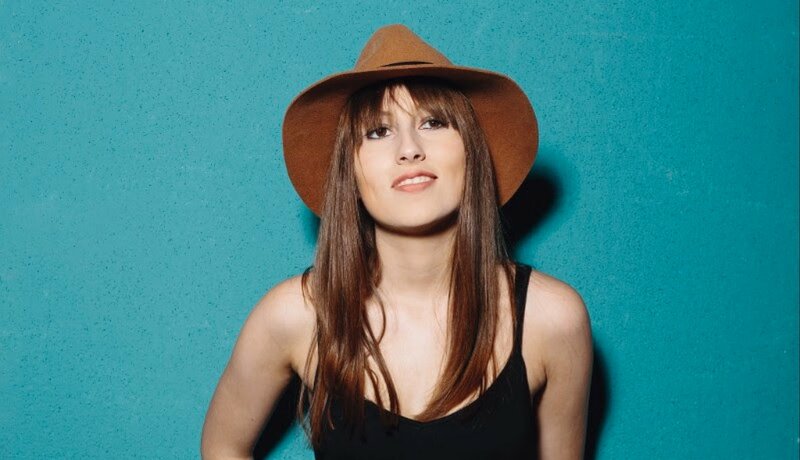 UK singer/songwriter Amy Lawton has just released her debut single Undone – The single was written with multi-platinum hit songwriter Matty Benbrook (Paolo Nutini, Jack Savoretti, Dido) and mastered by Pete Maher (U2, Lana Del Rey, Jack White). Amy has been playing at venues all over London recently, including Ronnie Scott’s, The Troubadour and many more. Her biggest show came as support to Jack Savoretti last year at London’s Cadogan Hall. More recently, she’s held a six-week residency at the West End nightspot Mahiki earlier this year. Amy has a nice young, fresh and sweet natured vocal that reminds me a bit of Stina Nordenstam in places. Undone is a very folk/pop driven track but with a very mature structure and the kind of song you would expect to be featured on a movie soundtrack. The melody is very happy-go-lucky, carefree, up beat and exciting with high energy and is very bouncy and bright in a hip kind of way. Undone could fit happily within the mainstream charts and I hope that it gains some attention. I look forward to hearing more music from Amy in the future.